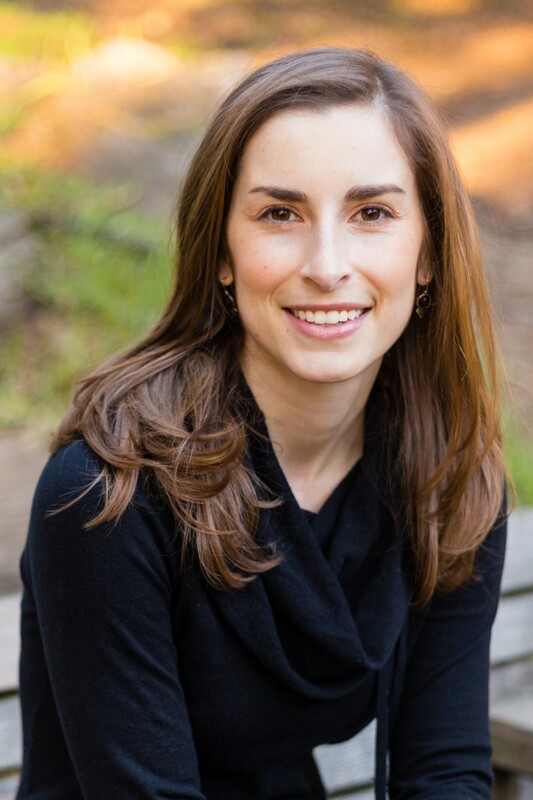 Sophie Egan is director of programs and culinary nutrition for the Strategic Initiatives Group at the Culinary Institute of America; her new book is Devoured: From Chicken Wings to Kale Smoothies--How What We Eat Defines Who We Are (Morrow). It's a well-researched, fascinating and witty discussion about food and American culture. Lunch at my desk while reading e-mails, accompanied by the sound of others microwaving their own food, has become the norm, so I was interested in her take on the demise of "lunch hour." Egan believes we have bought into the idea that the number of hours worked = productivity, particularly in the tech world. She calls it "extreme working." "We spend about an hour and 20 minutes a day, total, eating (plus time to clean up cookie crumbs from our keyboards). We use food as fuel, we want it to be convenient and speedy. We'll choose the 3-minute microwave over the 4, and sacrifice some taste and freshness. "At the same time, we want our food to be special, which we do by 'cheffing': adding something extra to personalize, say, a Subway sandwich--tomato, sriracha sauce, jalapeños. We fool ourselves into denying the reality of food preparation and sourcing; by outsourcing food more and more, we are losing food and culinary literacy, and, to an extent, empowerment--can we make mac 'n' cheese on our own?" There is much more to learn and appreciate (and be amused by--Egan is very witty) in Devoured: the ascendance of brunch, our "secular church"; the concept of food companies "selling absence"; food labeling and non-GMO products; why all eggs are hormone-free; the democratization of wine; why Italian cooking is so popular and prevalent in home cooking. This is a book to savor, not to rush through while nibbling on a protein bar. Read Shelf Awareness's full interview with Egan here. Shape up your reading life. Buzzfeed recommended "11 exercises that'll make book lovers excited to work out." Adapting to the season: Signature featured its "2016 Summer Movie Guide: The Books That Made the Screen." Home is where the books are: The Guardian listed the "top 10 fictional houses with personality." Tools of the trade: Mental Floss highlights "19 authors and their typewriters." "There's nothing we love more than a cozy spot to curl up with a good book and get lost for a few hours," Flavorwire noted in showcasing "20 beautiful reading nook designs for cozy bookishness." 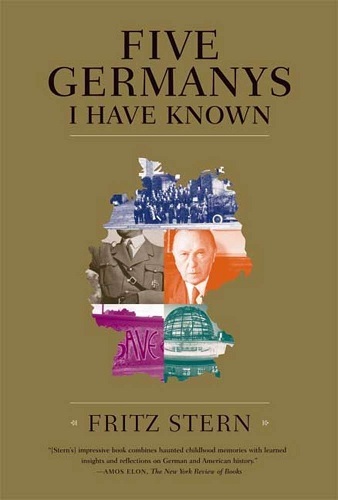 Fritz Stern, author, historian and Columbia University professor, died last week at age 90. He was born in Breslau in 1926 to a physician father and a mother with a physics doctorate. Though both sides of his family had converted from Judaism to Lutheranism in the 19th century, Nazi persecution of Germans with Jewish ancestry forced the Sterns to flee to the U.S. in 1938. Stern attended Columbia University with the intention of becoming a doctor. When he found himself torn between medicine and humanities, Stern asked family friend Albert Einstein for advice. Stern ignored Einstein's urging to stick with the sciences, and went on to earn a Ph.D. and professorship at Columbia. He is survived by his wife and sometime co-author Elisabeth Sifton, former senior v-p of Farrar, Straus & Giroux. 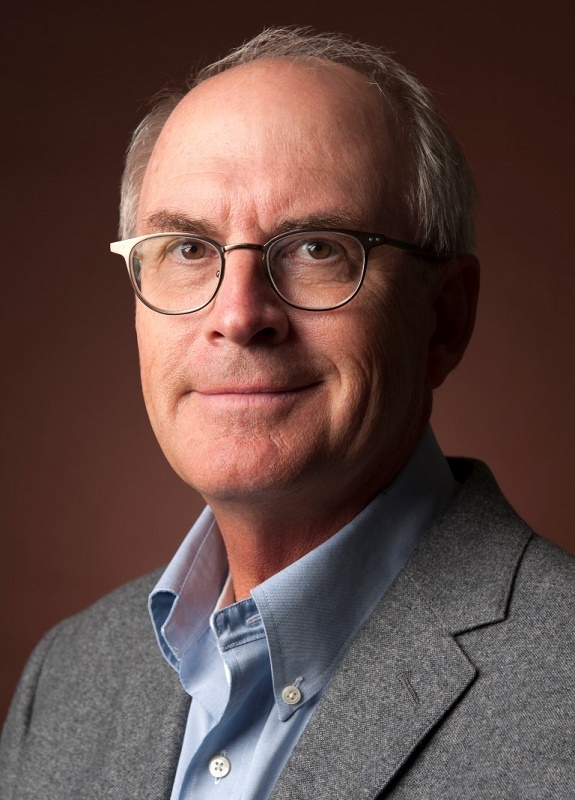 Nathaniel Philbrick has written extensively about American history, including In the Heart of the Sea, winner of the National Book Award, and Mayflower, finalist for a Pulitzer Prize. His newest book, Valiant Ambition (reviewed below), takes a close look at the American Revolution through the lives of George Washington and Benedict Arnold. Philbrick resides on Nantucket with his wife. Valiant Ambition focuses on two key personalities of the American Revolution: George Washington and Benedict Arnold. Why do you find their stories so important to share? This was a way to get at a portion of the Revolution that most of us really don't get. The perceived wisdom outlines Washington's great comeback at Trenton, the ordeal of supplies and materials at Valley Forge, and, soon to follow after that, the victory at Yorktown. But that is not the way it happened. The Revolution was a huge ordeal, not one battle right after another. It really began to slog down, and the American people lost their way. Much of that conflict was directed not towards the British, but towards themselves. Valiant Ambition is really about how these two different people responded to those challenges in very different ways. There are many books about the American Revolution as a whole, or about its start, or about how it ended--but you chose to focus very specifically on the middle years of the war. Why? It seemed to me that the way to frame this story was to begin at Washington's lowest point and Benedict Arnold's highest point. At the start of the book, Washington, the man destined to be the savior of our country, is very close to losing his position--if not the entire war. Almost at the same time, hundreds of miles away, it's Benedict Arnold who saves the day by preventing the British from marching down Lake Champlain to take Ticonderoga and link up with the British troops who had taken New York. So the book opens in the instance in which the man who we now think of as the most notorious traitor in American history proved to be the hero. Watching what happens over the next four years is really interesting--Washington goes up as Arnold falls down. These were two very different men, but, as the title of the book suggests, both seem driven by ambition. Would you say that they interpreted that ambition differently? Yes, these were very different men, but there were some essential similarities. Today, we think of Washington as the guy on the dollar bill: the pragmatic leader who never took unnecessary risk and always had a larger picture in view. But he didn't start out that way. His nature was much more like Arnold's. He was a natural fighter who wanted to engage the enemy and go all out in battle. It was only after various setbacks that he began to realize that what was best for his country was not to go out swinging, but to take a more Fabian approach to the war. He learned to control his natural instinct and predisposition--to control his inner Arnold. Arnold had those same natural urges, which made him the best battlefield commander Washington had. But he was not the type of man to control his passions. Where Washington spent his life trying to control himself and mold his personality into what history remembers, Arnold, like most of us, was born as he was and his personality remained constant from the beginning. Do you think, ultimately, Arnold was acting for his own best interests, or did he believe that a British victory would be best for America? That's the shady area that all people operate in. Are you out for your own personal glory, or are you truly attached to that of your country? With Arnold, as long as those two things coincided, he was the great hero we so desperately needed in the early battles of the Revolution. But he was also a hothead, and did not have Washington's ability to be tactful or patient, and so he was constantly butting heads with others. Yes, he was treated terribly by Congress. (Congressional dysfunction is nothing new.) What they did in overlooking him for promotion was totally outrageous, and Arnold wouldn't have had to be a hothead to react negatively to that. Between that and his injury--which set him back both physically and psychologically--there was definitely a combination of factors that made him rethink his position on the war. Add in his marriage to Peggy Shippen, who we know to have had Loyalist leanings, and you can see how Arnold wound up in the position he did. I have a lot of sympathy for Arnold, but I don't think you can ultimately explain away his decision to turn traitor. If he had truly decided that the best thing for his country was for Britain to win, then he could have just shifted sides. But instead of that, he went to great lengths to make sure he was going to get paid as much money as possible in the process. But you don't feel that Arnold decided to commit treason easily. It's hard for Americans today to give Arnold anything close to a fair shake. His name is now synonymous with the most evil traitor possible. For me, it was a fairly refreshing surprise to rediscover how tortured he really was in this process--and to recognize that there was always a possibility that he might not turn traitor after all. Despite the terrible nature of his decision, how much did Arnold's treason prove to be exactly what America needed at that point in the war? A lot of Arnold's despair about where America was going was legitimate. Americans had lost their way, turned their backs on the war and the army, and just assumed that the French were going to win it for us. The people had been lulled into a state of absolute apathy and exhaustion, had given up on the ideals with which they had started this revolution. The great irony is that Arnold, in his great victories prior to this, had done more than any other general to further the cause of the American states, and then in his treason, probably did more than anyone else, save maybe Washington, to rescue the cause of the revolution from its lowest ebb. He was a huge slap in the face for America. He made them realize that this war was theirs to lose. His betrayal really renewed the colonies' dedication to the cause and made them fight through, all or nothing. You're writing about the same time period in which the hit Broadway musical Hamilton takes place. Have you seen it, and if so, what do you think of it? I've seen it, and it really blew me away. This is just the kind of thing we need to crack the stories of history open and make them accessible to people today. And that doesn't mean doing what really happened a disservice. It means getting at the essence of what it means to be a human being in times of great change. Marcia Williams experiences every parent's worst nightmare: the murder of a child, her 16-year-old son, Ryan. As she girds herself to attend the trial of the teenager charged with fatally stabbing Ryan, Marcia's husband, Lloydie, withdraws; each day as she leaves for the courthouse, Marcia hopes he will attend with her, but Lloydie leaves the house before she's even out of bed. Marcia longs to understand why her son was killed, but Lloydie can't face it. So Marcia goes to the Old Bailey flanked by her sister, Lorna, and her family liaison officer, Nipa, to publicly endure the details of her only child's brutal death. As Yvvette Edwards (A Cupboard Full of Coats) unfolds the story of Ryan's murder through the events of his killer's trial, she also exposes the trauma inflicted on Marcia and Lloydie's marriage. Both parents are barely treading water; close enough to touch, yet fearing if they do, the tiny shift in force will be all that's necessary to drown them. The Williamses' delicate equilibrium is shattered and the trial upended when a dramatic surprise is revealed in court. It changes the course of the case and the direction of the couple's lives, but will this revelation bring justice for Ryan and salvation for his parents, or will it be the final tug that pulls them under for good? Discover: A mother hopes to learn why another teenager killed her son, but instead discovers something far more valuable. Young adult fiction author Robin Wasserman's first novel for adults, Girls on Fire, has a lot in common with YA literature. The story features protagonists in high school, intense emotions and a mystery that doesn't fully unravel until the final pages. Girls on Fire, however, pushes young adult tropes into decidedly adult territory, cranking the emotional intensity higher and higher while pushing events into truly shocking, subversive territory. Much like her young protagonists, Wasserman takes things shockingly far, creating an irresistible hybrid between coming-of-age stories and Gone Girl-esque psychological thrillers. Girls on Fire takes place in the early '90s, when grunge was breaking through at the same time Satanic panic was reaching its height. The conservative community of Battle Creek, including mousy protagonist Hannah Dexter, is unsettled by the unexplained suicide of a popular high schooler. Lacey Champlain, a troubled young grunger, forms a fierce bond with Hannah and sets about remaking the naïve, directionless girl in her own image. Suffice it to say that archconservative Christianity, transgressive sexuality and disturbing secrets all play their role in the ensuing events. Discover: Girls on Fire imbues a coming-of-age story with the intensity of a psychological thriller. Smoke is set in England, "a century ago, give or take"--a familiar yet strange land where, when the wicked lie or sin in thought or deed, they release Smoke: thin, white wisps, or oily black and oozing, or yellow or green, depending on the crime. They might smoke through their mouths, or the pores of their skin. "One notices it at the shoulders first, and where the sweat has plastered the nightshirt to his skin." It is a remarkably convenient way to judge people. Or so it seems. With this premise, Dan Vyleta (The Crooked Maid) introduces a world of action, intrigue and challenge. Smoke is told from many perspectives, and as the plot continues to expand, the cast expands as well, eventually spanning social classes to include religious fanatics, compassionless scientists, imitators of virtue, goodhearted working-class misfits--and, possibly, the truly evil. Readers and characters are confronted with revelation after revelation, eventually including the very nature and meaning of Smoke. At a little over 400 pages, Smoke feels both longer and shorter than it is. It begs for a single-sitting read, such is the momentum of the plot. On the other hand, its world-building is so massive and engrossing that the experience feels much larger than a mere novel. Discover: Smoke is a fast-racing, heart-thumping adventure tale of good and evil. Thirteen-year-old Maddy Branch knows the odds are against her when she arrives in the fictional Mississippi River town of Reliance, Illinois in 1874. She's posing as the sister of her mother, who's fleeing poverty and abuse and hadn't mentioned a daughter when she replied "yes" to a Reliance gentleman seeking a wife through a "Matrimonial Times" advertisement. With a birthmark covering half her face and no rights of her own, Maddy feels unwelcome in her new home. But Miss Rose Werner, the theatrical and feisty aging daughter of the town's founder, ensconced in Werner Manor, recognizes Maddy's potential and asks to mentor her. Reliance is close-minded and unforgiving. After a murder, Maddy observes "[the] Sin Society blamed suggestive artwork, novels, dancing, liquor. Liquor implicated the Germans, who blamed the Irish, who blamed the Negroes." Miss Werner, known variously as "a radical, a nuisance, a countess, a blessing, a madam, a suffragette," ignores the talk and savors life. She appoints Maddy as her memoirist, her tales adding mystery and humor to the plot. An outspoken supporter of women's rights, Miss Werner launches a subtle campaign for birth control, which she successfully introduces at gatherings masked as afternoon "soirees." Town politics, a cameo appearance by Samuel Clemens and well-formed characters add rich dimensions to Maddy's story. Discover: In the late-19th century, a teenage girl arrives in a Mississippi River town and experiences political and social conflicts of the town and time first-hand--helped by a very progressive-minded mentor. Anton DiSclafani's The After Party opens in the 1950s in Texas in the world of the oil-rich. Narrator Cece has a loving marriage and a baby boy. Her best friend, Joan Fortier, lives the night life, although at 25 she is nearing the end of her prime in this glittering culture of money, power and conformity. In flashbacks, Cece reveals the way the Fortiers took her into their home and--almost--their hearts, and Joan's mysterious vanishing acts. Cece has always been deeply committed to serving the needs of Joan. She may rankle at being called a handmaiden, but she can't help it: Joan has that effect on her. The girls have been best friends since kindergarten, and when Cece is left parentless as a teen, she moves into the Fortier estate, in the closed community of opulent River Oaks, an exclusive neighborhood in Houston. Discover: The particular culture of 1950s Houston high society is the setting for this disturbing story of friendship and secrets. The name "Benedict Arnold" is synonymous with "traitor" today, but it wasn't always. Before Arnold began selling crucial information to the British military during the American Revolution, he was a charismatic general, a colleague of George Washington and a staunch believer in the colonists' cause. Nathaniel Philbrick delves into the uncertain early years of the war and traces Arnold's journey from hero to turncoat in Valiant Ambition. 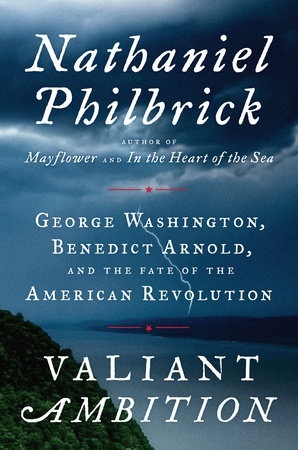 Philbrick is known for his vivid, compelling explorations of crucial episodes in American history (Bunker Hill; In the Heart of the Sea). Valiant Ambition plunges readers into the chaos of a new, untried country, whose military leaders struggled to unite the groups of inexperienced militiamen under their command. As the colonial army battled the British army in the dense forests of upstate New York, the Continental Congress remained in Philadelphia, arguing about finance, foreign policy and other issues. Bold and impatient, Arnold longed to capitalize on his past battlefield successes, but grew frustrated when he was passed over repeatedly for promotion. Discover: Historian Nathaniel Philbrick paints a complex, nuanced portrait of Benedict Arnold in this story of a pivotal part of the American Revolution. Mark Kurlansky, the master of exploring history through the lens of a single object (Salt; Cod), pens another such striking work in Paper: Paging Through History. Kurlansky maintains that technology does not change society, but is a response to new needs inspired by changes already in progress. Thus when a civilization needed portable, widespread and relatively cheap forms of written communication, paper became popular. This explains why the widely literate medieval Muslims embraced paper when the widely illiterate Europeans did not--it wasn't that paper was unknown to Europe, but that writing material based on animal skins (expensive and slow solutions like parchment or vellum) suited their needs at the time. Later, in the early Renaissance, when Europeans needed the advantages of paper, they adopted papermaking, and when they needed to reproduce written work more quickly, they invented the printing press. Discover: Mark Kurlansky weaves the story of a commodity and world history together in the pages of Paper. In an Internet world of seemingly infinite options, everyone is a critic. We are bombarded with opportunities to pick our likes, our favorites, our stars, our thumbs-up, our tomatoes or our smiley emojis. But what does it mean to "like" something? Where do our tastes come from? Can we trust anyone's judgment at all? Tom Vanderbilt (Traffic) attempts to address these questions and, in the process, raises and answers dozens more. With curiosity, folklore and equally rich research, You May Also Like tackles the science and serendipity behind the many choices we make every day. Vanderbilt kicks off by analyzing food preferences, because "we decide what to eat more than we decide what to wear or what to read or where to go on vacation--and what is a holiday but a whole new set of eating choices?" From our myriad restaurant menu and grocery aisle options, he moves on to consider how we choose our music playlists, what art we like and how long we look at it, and even how judges decide the winner at the Paris Cat Show. With a solid collection of end notes, much data and many interviews, You May Also Like risks getting bogged down in algorithms and acronyms, but Vanderbilt always brings matters back to the real world--frequently his personal real world. In the end, likes and dislikes develop out of a pile of variables like memory, familiarity, conformity or repetition, and they are constantly changing. Once finished with this intriguing study of taste, readers will never again consider clicking a "like" icon quite the same way. --Bruce Jacobs, founding partner, Watermark Books & Cafe, Wichita, Kan. Discover: With significant research and a lot of curiosity and amusement, Tom Vanderbilt engagingly dissects the origin and evolution of our personal tastes. Life for a fat woman in Western culture is hard. Life for a vocal feminist who is also fat can be downright cruel. But Lindy West (How to Be a Person) doesn't let that stop her from standing up and speaking out on issues she's passionate about. She's battled Internet trolls, misogynistic comedians, fat-phobic supervisors and rude people on airplanes in an effort to change harmful societal beliefs. Shrill: Notes from a Loud Woman is West's often funny, sometimes painful, always blunt story of life as an overweight feminist in a patriarchal world that values skinny, silent, subservient females. "What if... I could just decide I was valuable and it would be true?... Denying people access to value is an incredibly insidious form of emotional violence, one that our culture wields aggressively and liberally to keep marginalized groups small and quiet. What if you could opt out of the game altogether?" Discover: An overweight feminist refuses to be silent about fatness and other issues she cares about--and the result is melodious. Many serious pop music fans have argued the merits of the Beatles vs. the Rolling Stones, Nirvana vs. Pearl Jam, maybe even Prince vs. Michael Jackson. Chances are better that the very same music aficionados haven't quite argued all the listed rivalries named in Steven Hyden's Your Favorite Band Is Killing Me: What Pop Music Rivalries Reveal About the Meaning of Life. Chapter after chapter details the various clashes in rock, pop and rap music, including the anger the White Stripes' Jack White holds in his heart for Dan Auerbach, frontman of rival blues-infused rock band the Black Keys. It's an off-kilter resentment that somewhat confuses Hyden (and Auerbach), who notes that even though the two men live in the same town and have commonalities like children and divorces, White still avoids the younger musician. Miley Cyrus provokes Sinéad O'Connor to respond with an open letter on the Internet. Madonna beats out Cyndi Lauper for most lasting impact on the music world--at least according to Hyden. In "Southern Man," Neil Young pokes at Lynyrd Skynyrd, who poke back (in an era long before Twitter) with their own snarky line in the hit "Sweet Home Alabama." Discover: A smart, sharp read for fans of pop music from an author who offers his opinions with wit and self-effacing humor. In San Francisco's Chinatown in 1906, 15-year-old Mercy Wong's graduation from the Oriental Public School effectively means her education has stalled. While she might not object to marrying her handsome childhood sweetheart, she absolutely rejects her limited options as "a mere girl, a Chinese girl no less." She vows to rescue her family from poverty, and is determined to gain entrance into the exclusive St. Clare's School for Girls. With an unlikely combination of exquisite chocolate, a coveted plant bulb, daring bluster--and a little sly manipulation--Mercy joins the entitled St. Clare's girls. Admission, alas, doesn't mean acceptance; at the request of the deal-making school board president, Mercy enters the elite fold posing as a Chinese heiress. Straining under judgmental eyes, Mercy resorts to mirthful improvisations, even a fake tea ceremony during which she beseeches (in Cantonese), "may I not make a pigeon egg of myself." Mercy's approval-seeking attempts prove short-lived, as the massive earthquake levels San Francisco on April 18. St. Clare's is destroyed, forcing the headmistress to relocate her charges to Golden Gate Park until help arrives. Mercy's "bossy cheeks"--an authoritative streak her fortuneteller mother fully recognized--ensures that this "mere Chinese girl" will not wallow in worry, and instead she takes charge. Her St. Clare's education might have been truncated, but she "picked up something better": true friends. Discover: Stacey Lee's second historical novel introduces a headstrong Chinatown teen whose "bossy cheeks" help her--and many others--survive the 1906 San Francisco earthquake. Twelve-year-old Eliot Dionisi is incredulous that his parents would cruelly send him off to live with "wrinkly old relatives" in Nova Scotia's Point Aconi, depriving him of a glorious summer with his best friends. Eliot's "wrinkly old relatives" are Grandmother McNeil and his great-uncle Earl with the icy stare, gold tooth and anchor tattoo, but before Eliot knows it, he's made new kid friends and is waist-deep in the "grayish green" ocean with the intriguing, chestnut-haired Mary Beth McGillivery. It doesn't take long for two local boys, Jack and Eddie McLeod, to warn him that their older brother Donnie "won't like some Eye-talian kid from away coming around," and the bully is as scary as they say. Because dangers lurk, promises of future clambakes, blueberry-picking and lighthouse-exploring feel like cold comfort, and even Uncle Earl's "special dinner," involving a bulbous-eyed lobster that "might crawl across the table and eat me," doesn't exactly cheer him up. Things look up considerably as Eliot builds some good, solid Nova Scotia-style skills and deepens his relationships with his new friends and family. Sea Change is about evolution, hope, compassion and second chances, and the wonderfully spun narrative is always buoyant. Discover: Canadian picture-book creator Frank Viva draws on his childhood memories of Nova Scotia summers in his delightful, illustrated, splendidly designed middle-grade debut that bursts with heart.